This intensive treatment smoothes deep wrinkles and increases skin tonicity using the needle-less technique, an innovative way to deliver dermal fillers. A complex of innovative principles acts on the structural macromolecules in the derma and in the dermal-epidermal junction. Neodermyl®, also called the “needle-free” collagen and elastin filler, stimulates the synthesis of structural proteins of the skin. It had been proof as extremely effective in treating the skin irregularities associated with mature complexions: deep, nasal-labial and lip contour wrinkles, crow’s feet or expression lines. Lipo-Ceravit C, high in stable vitamin C microencapsulated in a ceramides liposome, increases skin density, stimulating the collagen production and restoring the lipid layers of the skin. 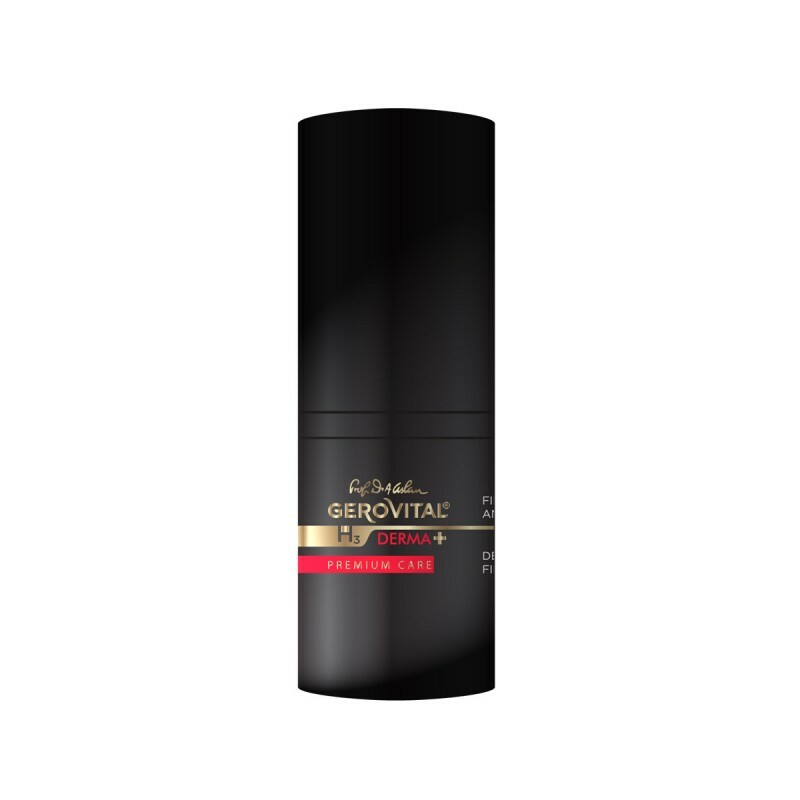 Usage: Apply morning and evening on a clean face, neck and décolletage, insisting on the wrinkle-prone areas. INGREDIENTS: AQUA, ISOPROPYL ISOSTEARATE, GLYCERIN, HYDROXYETHYL ACRYLATE/SODIUM ACRYLOYLDIMETHYL TAURATE COPOLYMER, TOCOPHERYL ACETATE, CYCLOPENTASILOXANE, ASCORBYL TETRAISOPALMITATE, GLUCOSYL CERAMIDE, PENTYLENE GLYCOL, DISODIUM ACETYL GLUCOSAMINE PHOSPHATE, SODIUM GLUCURONATE, MAGNESIUM SULFATE, METHYLGLUCOSIDE PHOSPHATE COPPER LYSINATE/PROLINATE DIMETHICONE, DIMETHICONE CROSSPOLYMER, PHENOXYETHANOL, DECYLENE GLYCOL, CAPRYLYL GLYCOL, MICA, TITANIUM DIOXIDE / CI 7789, TOCOPHEROL, HYDROGENATED PALM GLYCERIDES CITRATE, TETRASODIUM EDTA, SODIUM HYDROXIDE, SORBITAN STEARATE, POLYISOBUTENE, LACTIC ACID.